Looking to sail closer to your holiday in Spain than what other routes offer? The Plymouth to Santander route is the most direct route you can get to Spain from the United Kingdom and the crossing takes between 24-32 hours. 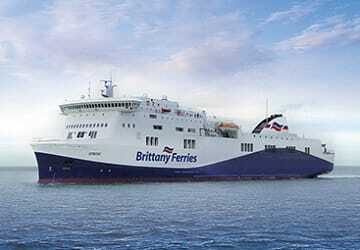 There’s also a return sailing on this route every week so you can travel back to the UK after your holiday. 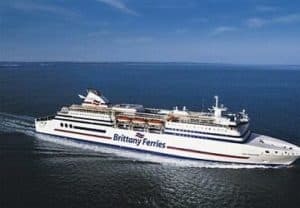 Brittany Ferries is the only company to operating the Plymouth to Santander route with up to 3 ferry crossings each week. The frequency of the ferry crossings may vary from season to season. Prices start from as little as £340 one way for a car plus 2 passengers including a standard inside 2 berth cabin. To get the best price, we advise you book as early as possible or book your family and friends to come with you in your car. Depending on when you book, the average prices vary between £283 in November to £582 in July. With its history dating as far back as the Bronze Age, Plymouth is an English city located on the south coast of the county of Devon, in the south west of the UK. The city is known for its beautiful scenery, a plethora of attractions and a fascinating maritime history. It is flanked by the River Ply to the east and the River Tamar to the west. Some of the attractions worth a visit in the city include the National Marine Aquarium, the Barbican’s cobbles quayside and the Blackfriars Gin Distillery. 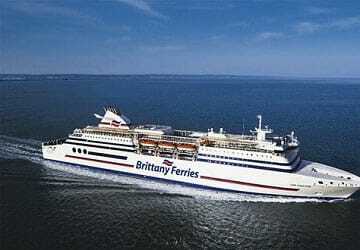 Ferry services from the Plymouth port depart to Roscoff in France and Santander in Spain. Santander is a historic city built around a natural port, offering travellers a lot to see and a lot to do. Located north to the Bay of Biscay and the Cantabrian Sea, some of the key attractions are the city’s breathtaking beaches which are less than 3km from the city centre, the beautiful Picos de Europa National Park and an array of traditional Spanish restaurants and boutiques. Travellers looking to find a good seafood restaurant can enjoy delicious meals at the city’s busy fishing district, Barrio Pesquero.